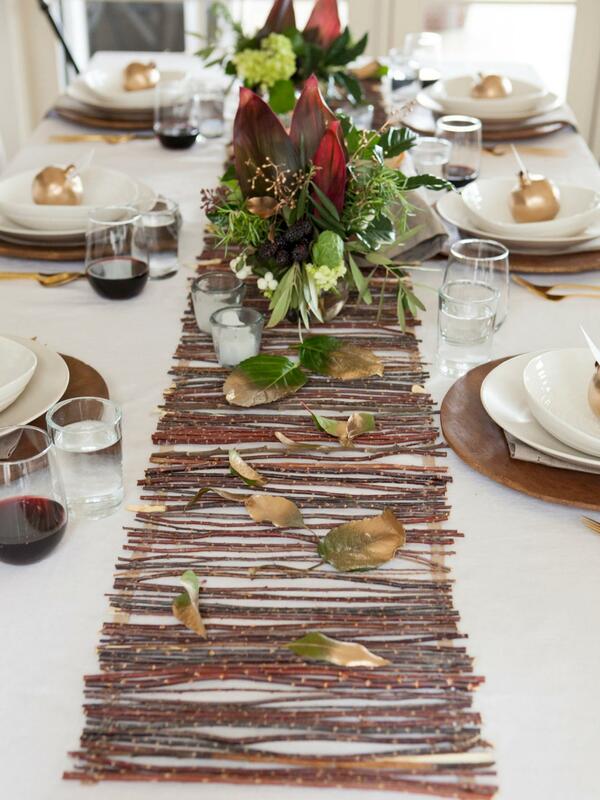 Bring an organic touch to your Thanksgiving table by creating a beautiful runner made of twigs. 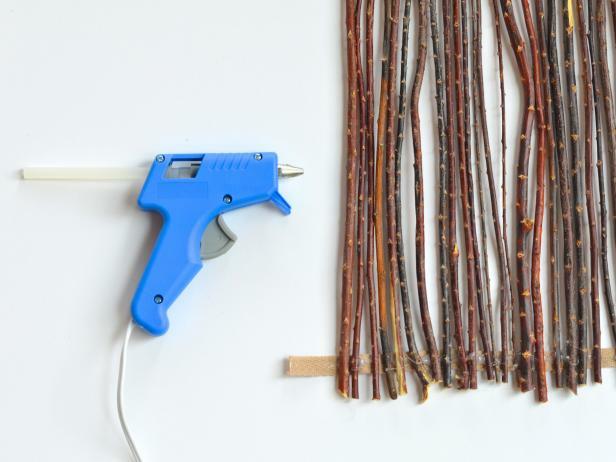 Kids will love scavenging for twigs in the yard, and assembly is easy enough that they can help craft it, too. 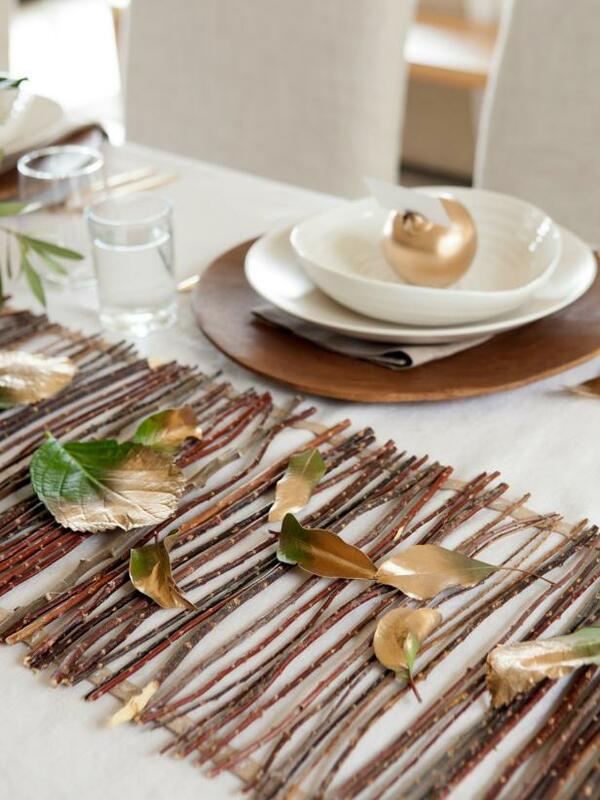 Bring an organic touch to your Thanksgiving table by creating a beautiful runner made out of twigs. Kids will love scavenging for twigs in the yard, and assembly is easy enough that they can help craft it, too. 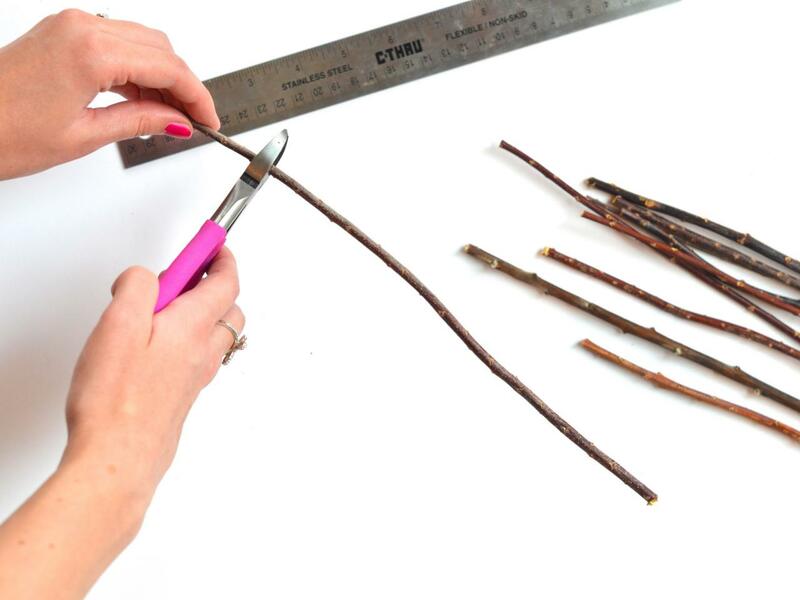 Measure and cut branches into 12-inch pieces (Image 1). Ribbon will form the base of the runner; measure your table and decide how long of a runner you need then cut two pieces of ribbon to desired length (Image 2). 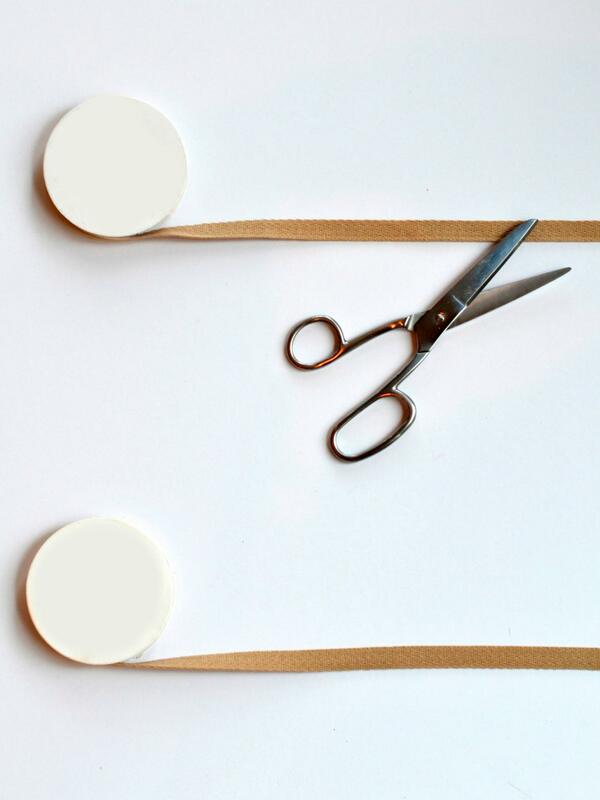 Tip: Lay ribbon and twigs on the floor or an extra-long tabletop for a flat work surface. 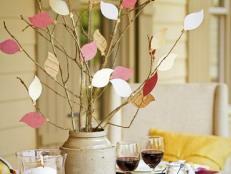 To start your rustic twig table runner, measure and cut branches into 12-inch pieces. Ribbon will form the base of the runner; measure your table and decide how long of a runner you need then cut two pieces of ribbon to desired length. Lay twigs perpendicular across ribbons so ends are touching each ribbon (Image 1). One at a time, attach twigs to ribbons until the runner's desired length is reached. Allow natural variation in spacing for an organic look. Clean by picking away any hot glue residue. 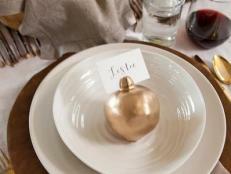 Place runner in the middle of your table, and be prepared for compliments (Image 2). 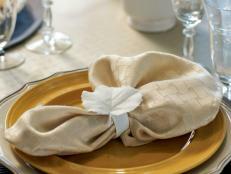 Tip: To store your finished runner, just roll it up and place in a cool, dry place so you can reuse it year after year. Lay twigs perpendicular across ribbons so ends are touching each ribbon. 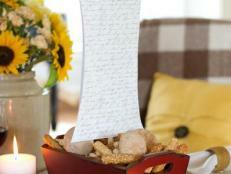 One at a time, use hot glue gun to attach twigs to ribbon until the desired length is reached. Allow natural variation in spacing for an organic look. 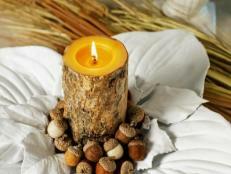 Set the scene by scattering gilded natural elements down the length of the runner. Collect different leaves, pinecones, berries or whatever else nature is offering, and give each a light coat of gold spray paint for a touch of glitz. Easily turn real or faux pomegranates into gilded place-card holders to add an organic, rustic touch to your Thanksgiving place settings. 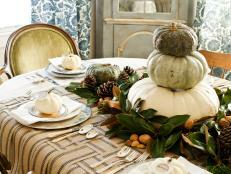 Humble, functional upholstery webbing is given a sophisticated look when woven together to create a holiday table runner. 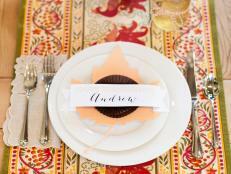 Make this runner in a custom width or length to fit any table size or gathering. 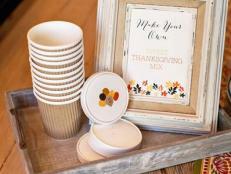 Coat silk leaves in budget-friendly plaster of Paris to create sleek napkin rings and place cards for your Thanksgiving table. Help kids craft these colorful straw necklaces for Thanksgiving with our easy-to-follow instructions and free printable template. How about a little pheasant to go with your turkey this Thanksgiving? 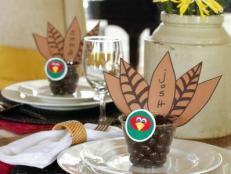 These cute fellas are easy to make and act as both a place card and party favor your guests can take with them.